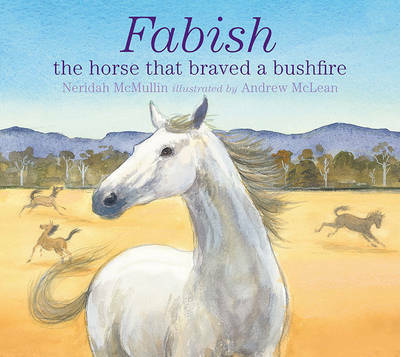 Another amazing animal in the Eve Pownall shortlisted books is the horse, Fabish. He was an old horse who rescued the yearlings from the terrible Black Saturday bushfire. The trainer rescued the finest race horses but couldn’t look after them all so he set Fabish free with the yearlings. He discovered every single one safe after the decimating fire but didn’t know where Fabian had taken them. Picture book form is an apt medium for this true story. Important Australian illustrator, Andrew McLean, is an expert in painting our countryside and animals and Neridah McMullin has crystallised the events into a riveting tale. Primary-age children could no doubt imagine where the horses may have found safety. They could write and draw their possible experiences. These creators have published other very worthwhile books, such as McLean’s A Year on Our Farm and Bob the Railway Dog and McMullin’s Kick it to Me and KnockAbout Cricket. 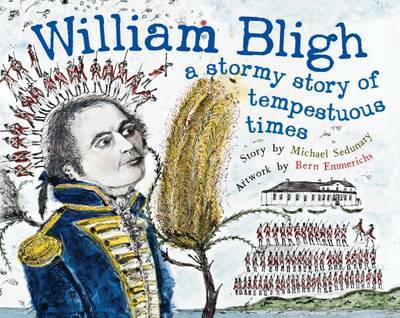 This tale begins in 1808, 20 years after the First Fleet, when soldiers arrest Governor Bligh. It then retrospectively tells the account of the Mutiny on the Bounty before returning to Bligh’s attempts to quell both the Rum Rebellion and John Macarthur. 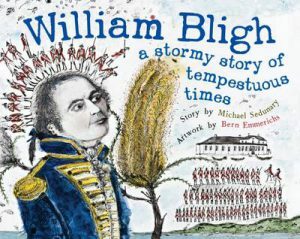 Michael Sedunary’s writing is picturesque and colourful; personalising Bligh’s life and endeavours. Bern Emmerichs’ illustrations are intricate and patterned. Surprisingly, blogging and social media appear in this book. Bligh’s log (now kept in Sydney’s Mitchell Library) relates blogging to the gossip, printed pamphlets and handbills of the period. Macarthur’s ‘tweets’ against Bligh are viewed as the social media of the time. Other books in the series are What’s Your Story? and The Unlikely Story of Bennelong and Phillip. Enormous congratulations to Berbay Publishing for its Bologna Award. This is a glossy science publication with high quality photos. It includes seamless explanations of genes and genetics with apt examples for children to understand. We are reminded that tongue-rolling and widow’s peaks are genetic. No doubt every reader will be amazed when they clasp their hands to see if their left or right thumb is on top. (page 59) Try it! 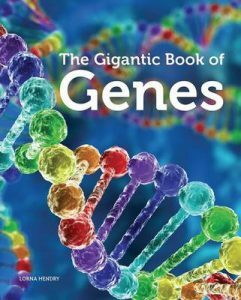 And genetically all humans have 99.9% of identical DNA. We are almost exactly the same.